Torklift Central’s auxiliary “Tool & Fuel” combo tanks allow you to travel the distance without stopping for fuel. 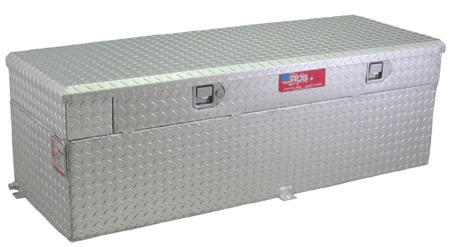 Fifty and sixty gallon diesel tanks allow for maximum travel time and allow you to triple your factory tank capacity. The tank acts as a portable gas station. With the flip of a switch on your dash you can watch instantly as your factory tank begins to fill. 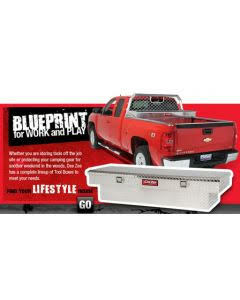 We have tanks designed to fit in your truck bed or custom fabricated to fit under your vehicle. There is also no need for an aftermarket gauge in the vehicle while using the Tool & Fuel combo. Your factory fuel tank is still in use and does all of the work. On select models a special adapter bung is included that is used for a Gas Boy system. We offer the manual or electric gas boys for diesel fuel.